Visit the iconic Eilean Donan Castle, see Glencoe & Rannoch and journey down Loch Ness with an overnight stay in Fort William. Departs Wednesdays, Fridays and Saturdays all year. This popular 4 day coach tour takes you through the variety of Scotland's moods and landscapes, covering the country roads from the far west to the far north. It's the perfect introduction to the beauty of Scotland! The tour runs Sundays, Mondays, Tuesdays and Wednesdays from April to October. Price inc Accommodation. 3 day tour to the dramatic natural beauty and delights of Skye. Stay two nights in Portree on Skye. This tour runs on Tuesdays, Thursdays, Saturdays and Sundays all year. Best way to see Skye quickly. 5 days to enjoy Mull, Iona, Staffa and the Isle of Skye. 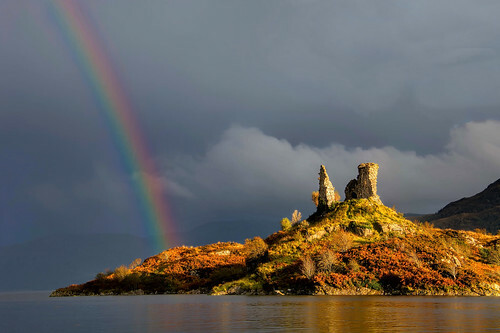 Also includes Loch Lomond, Eilean Donan Castle, Glencoe and Loch Ness for the best of Scotland. Mondays, Wednesdays & Saturday during the summer months. Accommodation included. 2 day tour from Edinburgh that visits Rannoch Moor, Glencoe, Loch Ness, Culloden & Highland Perthshire with an overnight stay in Inverness. Tour runs every Monday and Thursday all year. Discover Scotland's North Coast and the wonders of the Orkneys on this 5 day/4night tour! Highlights are the Orkneys, the rugged extremes of Scotland’s northern coastline, Loch Ness and the Caledonian forests of the Cairngorms. Price includes B&B accommodation. Sunday, Wednesday & Friday departures. 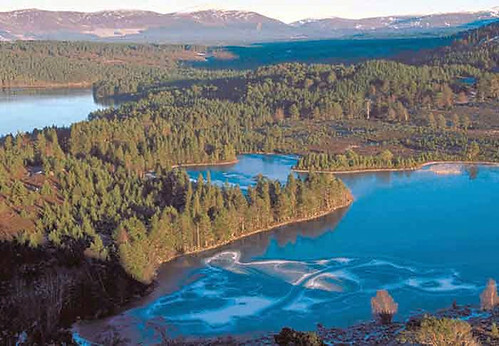 2 days on friendly tour to Loch Ness, with a night out in Inverness and then the Caledonian pine forest and scenery of the Cairngorm National Park. Daily during the summer, & Tuesdays, Thursdays and Saturdays all year. Prices inc B&B Accommodation! Get away from it all with this tour to the Outer Hebridean Islands of Lewis and Harris, home to pre-historic stone circles of Callanish and the famous white sandy beaches of Harris. This amazing tour runs alternate Thursdays through the summer. Price includes accommodation. A fabulous 2 day escape exploring Glencoe and Loch Ness with Rabbies Tours, with a night out in Inverness, and rejuvenating in the majesty of the Glen Affric wilderness. Departs 3 times a week all year. 3 days to explore the drama and beauty of the Highlands and the Isle of Skye. Includes 2 nights in the picturesque harbour town of Portree in B&B. Runs Daily. B&B Accommodation INCLUDED. Early Booking Required!! 4 day specialist whisky tour takes you to the “Queen of the Isles” and the Whisky Coast. Islay is home to 8 of Scotland’s finest malt whisky distilleries. 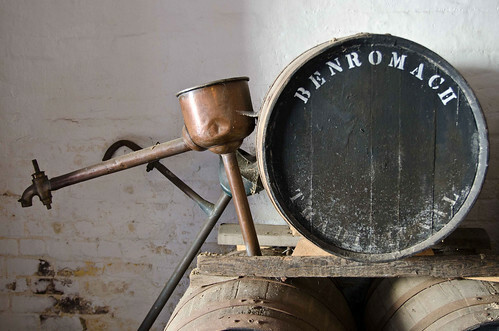 For the whisky enthusiast this tour with a small group will give you an in depth knowledge and even better - you won’t need to drive anywhere yourself! Mondays & Fridays, April-October. 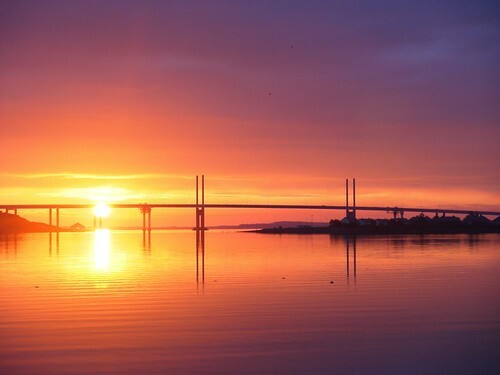 9 Day and 8 Night tour including Mull, Skye, Iona, Orkneys and the best of the Highlands. Tour includes your accommodation in B&B en-suite accommodation. Runs April to October. The Isle of Skye is famed the world over for its dramatic mountain scenery and picturesque seascapes. 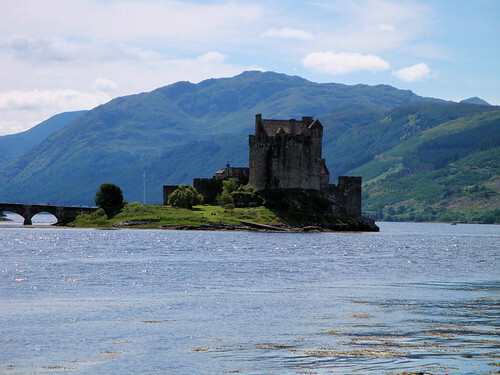 You'll experience the very best of Skye, have a stop at Loch Ness and visit Eilean Donan Castle. Runs daily from May to September, and 4 times a week in March, April and October. This tour will introduce you to the stunning cliffs of the northern coast, the barren magnificence of Caithness and, hopefully, an abundance of wildlife. A splendid day out with a difference! Runs Tuesdays and Thursdays from March to October. 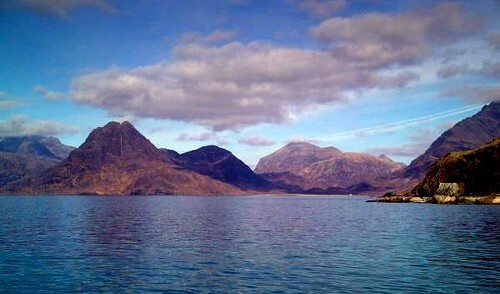 A day of scenic beauty as we travel to one of the remotest areas of Scotland—the Applecross Peninsula. This relaxing day trip is a wonderful antidote to the stress of modern-day travel! Tour runs every Monday from May to September. A fantastic 3 day coach tour that runs alternate Fridays from May to September. This short tour of the idyllic islands of Harris and Lewis is the perfect balance of discovery, travel and hospitality. Travelling as a small group to the Hebrides you’ll experience a magical blend of island life, history and breathtaking scenery. The fabled Orkney Islands boast more pre-historic sites than anywhere else in the UK. Discover the history of the Orkney archipelago, and the rugged extremes of Scotland’s northern coastline. Fridays in the Summer. 3 Day to Orkney starting from Inverness on Mondays. Price includes accommodation in B&B based on 2 sharing. Includes all the amazing monuments of Orkney with expert guide. Runs April to end of October. Small 16 seater for intimate experience. Experience a trip on the World Famous West Highland Railway Line by steam train, spend a night near the banks of mysterious Loch Ness and spend time in brooding Glen Coe. Runs on Wednesdays from May to October, plus Saturdays in July and August. Price inc Accommodation. In 3 days we'll show you Glencoe, Eilean Donan Castle, the Isle of Skye, The Cuillin Hills, Loch Ness, Inverness, Culloden Moor and more. This tour runs 2 days a week throughout the year, plus everyday through the Summer. 2 nights accommodation is included in the ticket price. This fantastic two day (1 night) coach tour will let you explore some of Scotland’s most popular sights; go monster spotting by Loch Ness and see some spectacular scenery. This really is essential Scotland! Saturdays, Tuesdays and Thursdays all year. This comprehensive 7 day tour of Scotland's Highlands and Islands is the perfect balance of discovery, travel and hospitality. Travelling in a small group you'll experience a magical blend of island life, historic castles and ancient legend. Price includes your accommodation & breakfast. This is the best extended tour for the Far North of Scotland! Departs Mondays from May to September from Edinburgh. Step back in time with this epic tour. Pagan monuments, Roman ruins, majestic cathedrals, medieval castles, geological wonders, famous universities, Highland glens, and Scotland's historic cities and majestic scenery will grip your imagination! This fantastic tour departs on Mondays from mid May to mid September. 10 Day Tour of the Orkneys & Outer Hebrides. Departs from Edinburgh on Wednesdays and Fridays April to September. Tour includes accommodation. Small Coach Tour. This four day coach tour will take you to Islay, truly a Scottish island paradise. Stunning scenery, ancient history, abundant wildlife and a traditional culture make it an attractive enough island to visit. Add 8 of Scotland’s finest malt whisky distilleries and you can see why Islay is such an attractive destination! The fabled Orkney Islands boast more pre-historic sites than anywhere else in the United Kingdom. Discover the history of the Orkney archipelago, the rugged extremes of Scotland’s northern coastline, Loch Ness and the stunning beauty of the Cairngorm National Park. On this four day tour you’ll have time to discover these Northern Isles and much more besides! Departs alternateThursdays through the summer months. A magnificent adventure to the Outer Hebridean Islands of Lewis and Harris, home to pre-historic stone circles of Callanish and the famous white sandy beaches of Harris, and the magical Isle of Skye. Your tour will also include Ullapool and the Cairngorms. Accommodation INCLUDED. Departs Tuesday & Sundays May to September. The serene Isle of Skye, perfectly photogenic castles and the grand cities of Edinburgh, St. Andrews and Glasgow beckon on this excellent Scottish tour. Your experience of Scotland is enhanced with visits to a traditional whisky distillery and breathtaking views of the striking Cuillin Mountains on Skye and Scottish Highlands. 4 Day tour that encompasses the isles of Mull and Iona as well as the glories of the Western Highlands. 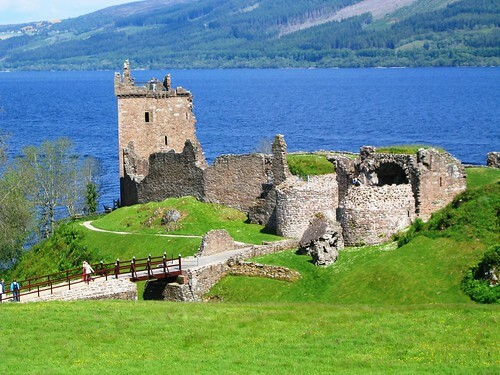 Departs from Edinburgh on Tuesdays through summer with 3 nights in Tobermory. (see dates) Accommodation included! A warm welcome awaits you in Speyside, home to more than half of Scotland's malt whisky distilleries. Your 3 day adventure allows you to sit back whilst you visit some of the finest whisky distilleries in Scotland and enjoy the magnificent scenery of Cairngorms, Speyside and Royal Deeside. Wednesdays & Fridays. 8 Day & 7 Night Tour of the Hebrides, Skye and the Highlands of Scotland. Departs on Monday from May to September with price including your accommodation + breakfast. We have an exciting range of extended Scotland tours that depart from central Edinburgh aboard either a coach or minicoach. 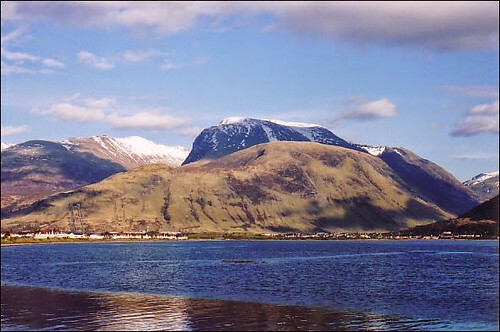 An extended tour is a tour that includes overnight stays at different locations around Scotland. Some tours include accommodation in the tour price, while others will book the accommodation for you, which you simply pay for on arrival. Most tours of Scotland will tend to make their way North via Stirling & the Trossachs (of Rob Roy fame) before moving through the Western Highlands towards Glencoe, Fort William, Loch Ness. This is a general description but as you will see our tours in different shapes and sizes. We have divided our tours by departure day and also by length of tour to help you in your selection. If you begin to lose track, please feel free to call our wonderful tours co-ordinator Laraine on +0044(0)131 603 4880 (or use Live Chat to the right) to get some advice. We also have a great range of extended Scottish tours from Glasgow if this is more convenient for you. We have arranged the tours in two ways: we list them by number of days and nights and we also list them by departure day so that hopefully one way or the other you can fit them into your schedule. It does take some browsing, but hopefully you will find exactly what you are looking for!